Mental health problems encompass a wide range of disorders, including depression, anxiety, schizophrenia, seasonal affective disorder, psychosis and suicidal thoughts. According to UK-based mental health charity Mind, approximately one in four people in the UK experience mental health problems every year. In England, one in six people report a common mental health problem in any given week. The World Health Organisation estimates that between 35% and 50% of people in developed countries suffer from severe mental health problems, while between 76% and 85% of those living in developing countries receive no treatment for mental health conditions. World Mental Health Day was created to focus on education, awareness and advocacy against the social stigma related to mental health conditions, as well as reflect on how much progress has been made. It is observed on 10 October and was created by the World Federation for Mental Health in 1992. To faciliate discussions about mental health in light of World Mental Health Day, a forum on mental health was held on 9 October called Mad World. Mad World brought together business and government leaders to discuss mental health in the workplace and emphasise that having good mental health in the workplace is fundamental to business success. One of the focuses of the conference was on finding ways to eradicate the stigma around mental health at work, especially in the context of increasing pressure at work in an age of digital disruption and rising levels of pressure on workers. The Mental Health Foundation’s research has found that mental health is a leading cause of sick days in the UK. It estimates that 70 million work days are lost each year in the UK due to mental health problems, which costs employers roughly £2.4bn annually. During his keynote speech at the conference, Sir Cary Cooper, professor of organisational psychology and health at Alliance Manchester Business School, University of Manchester, also emphasised the problem of presentism; his research has found that 28% of UK workers are present at work despite being physically or mentally ill.
One section of Mad World involved ten technology companies pitching their digital solutions to a panel of experts: WideAcademy’s Alan Greenberg, GlaxoSmithKline’s Dr Gifty Jonas, AXA PPP Healthcare’s Chris Tomkins and Microsoft Reactor’s Karen Rivoire. Here are five innovative mental health tech projects that presented at the event, including Unmind, the winner of the Mad World’s Tech Talks digital innovation award. Technology can help to improve people’s mental health in the workplace. Credit: Pixabay. In an attempt to combat the tendency of people to give up on tech solutions to help with their mental health, PsycApps has created an emotional fitness game called Equoo. Each level teaches users essential skills about mental health and emotional intelligence based on current psychological research in a fun and engaging manner. The exact adventure can be personalised by the user and they can share their achievements with other users and friends. PsycApps founder and CEO Silja Litvin noted at the Mad World event that Equoo has had 4,000 downloads since its launch in July this year. Equoo is aimed at 18-24 year olds, an extremely vulnerable group – according to the Mental Health at Work 2018 report compiled by Business in the Community, 37% of 18-29 year olds have been formally diagnosed with a mental health condition, compared to 29% of over 50s. The main aim of Headtorch is to eradicate stigma by stimulating conversations about mental health in the workplace. The tech solution its founder and CEO Amy McDonald presented at Mad World was Headtorch Works, which was created in collaboration with the psychology department at the University of Glasgow. Headtorch Works is an e-learning tool that involves three online TV documentary-style episodes that people watch individually and then discuss with colleagues and peers face-to-face. It also has related downloadable resources that can be used in the future to continue the discussion surrounding mental health in the workplace. The company’s other platforms also include Headtorch XI, Headtorch Aware and Headway. Headtorch XI is the newest service and it helps organisations to understand the financial and legal benefits of focusing on mental health at work. Psychological Technologies (PYST) was created by Nick Begley, head of research at mindfulness company Headspace, and Dr George MacKerron, creator of Mappiness, the world’s largest real-time happiness study, at the London School of Economics. MacKerron presented for the company at Mad World. The pair have created an app called me@mybest. The platform is used by employees to discover the factors that primarily affect their well-being by answering a set of questions weekly. The app then provides insight into what methods and tools they can use to improve their mental health. Its method of measurement is compliant with the OECD’s gold standard of wellbeing. PYST claims that me@mybest has been shown to increase happiness and productivity by 5% after only a month of use. Employees can also send anonymous information to their employers about how they feel about the culture and ethics of the organisation, as well as about managers and colleagues. This means employers know the main areas that they need to improve upon, with me@mybest also recommending bespoke projects and initiatives to help achieve these improvements. LifeWorks is a mobile-first platform that integrates many different elements of employee well-being: employee assistance, communication with human resources, physical wellness, rewards and recognition, and analytics and insights. The one focused upon by CEO Jamie True during his presentation at Mad World was Employee Assistance. This offers employees 24/7 counselling services through its video and chat functions, as well as in person, resources for both employees and managers, and a critical incident report. The company also offers well-being resources that focus on money. Financial stress is proven to be a common cause of mental health problems; Neyber’s annual research titled The DNA of Financial Wellbeing found that 86% of the 10,000 employees surveyed said their financial situation made their mental health worse. Unmind is a mental health platform created exclusively for use in the workplace around the ethos that prevention is better than cure. 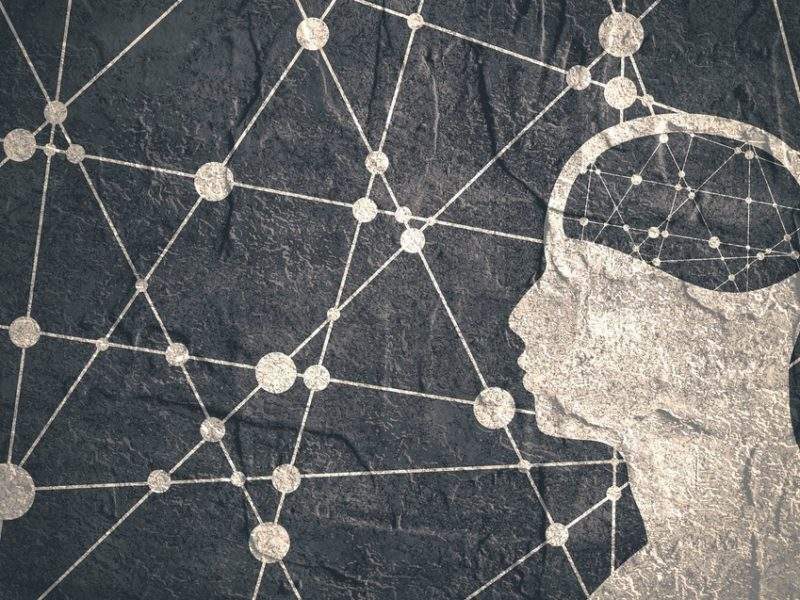 The company has worked with academics and psychologists to create a range of programmes and resources that help employees look after their mental health. These resources are available as audio, video and interactive content. Users of Unmind can also assess the development of their mental health in their preferred manner, for example questionnaires or writing a mood diary. The findings are responded to with actionable insights and personalised tips. These can be personalised by employers to improve employee awareness of work-based support and resources. In addition to its online platform, Unmind offers a 24/7 helpline and access to local healthcare providers. Unmind claims that 89% of employees using the service report higher confidence, awareness and understanding of mental health, as well as that 30% of employees whose employers use the platform sign up, compared to between 2% and 4% for traditional solutions. Unmind accepts the Mad World forum’s tech talks digital innovation award. Credit: Mad World Forum.